Faizat Badmus-Busari speaks on the role of religion in advancing or suppressing women's rights. 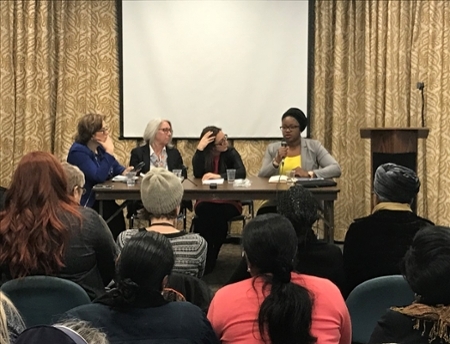 Faizat Badmus-Busari (SJD) spoke at the United Nations Commission on the Status of Women panel, From Fear to Hope, last month. She discussed the role of religion in advancing or suppressing women’s rights. Video of the panel may be found here. She is presenting this month at Cornell Law and next month at the University of Ottawa.